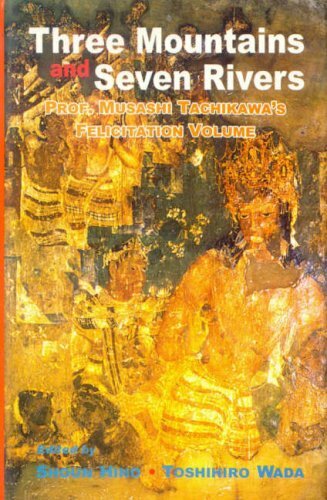 Three mountains and the seven rivers is a collection of 56 essays to felicitate the sixtieth birthday of Doctor Musashi Techikawa, Professor at Aichi gakuin University in Nagoya. This volume consist of thirteen Sections; (1) Ancient Geography, (2) Buddhism, (3) Madhyamika, (4) Iconography, (5) Jainism, (6) Logic, (7) Poetics, (9) Social Practice, (10) Tibetan Themes, (11) Vedanta and Mimamsa, (12) Samkhya and Yoga and (13) Tantrism. these saetions throw new light on enduring themes in Indian studies as well as raises fresh issues.